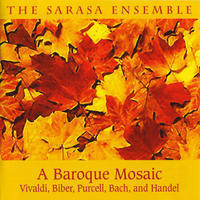 The Sarasa Ensemble: Lively, bright baroque . The Sarasa Ensemble performs music from the early Baroque through the Romantic eras. It has received critical acclaim for its "informed and impassioned music-making" and is hailed for its "great clarity" and "irresistible energy". Drawing on a pool of more than sixty world-class musicians from the United States, Europe, and Canada, the ensemble varies in size according to the particular program of each of its concerts. 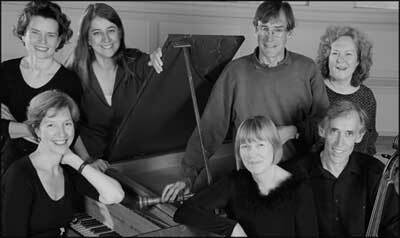 The ensemble produces the Sarasa Chamber Music Series in Cambridge and Concord, Massachusetts and summer concerts based in Putney, Vermont. It has toured throughout New England and to Cuba, Ireland, and India. Sarasa was formed in response to a concert played by its founder, Timothy Merton, in the Sing Sing Correctional Facility in 1997, at the urging of a friend. An inmate who heard that first concert remarked, "When art is well executed, it projects a message that transcends language, culture, and even aesthetic boundaries." Sarasa took these words to heart and since then has been bringing high-quality music to those who ordinarily have little access to it. The ensemble has performed in adult and adolescent correctional facilities, homes for the elderly, mental hospitals, and institutions for the disabled. For the last several years Sarasa has been working almost exclusively with teenagers in the greater Boston area. Every concert season the group plays more than twelve outreach concerts and facilitates several residency programs in teenage correctional centers. Through these programs Sarasa seeks to address the spiritual and emotional suffering of incarcerated youth and offer them joy, hope and opportunities for healing through self-expression. The Sarasa Ensemble lives in Massachusetts, USA. 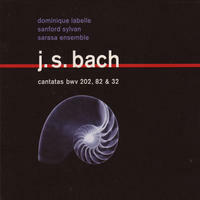 Tagged as: Classical, Orchestral, Baroque, Opera, Classical Singing, Cello, Harpsichord, Composer: Johann Sebastian Bach, Oboe, Violin.